The prices for precious metals have increased in Azerbaijan August 21, according to the data published by the country’s Central Bank. The price of gold increased by 15.2915 manats to 2031.3725 manats per ounce in the country on August 21, compared to the price on August 20. The price of silver increased by 0.0582 manats to 25.1762 manats per ounce. The price of platinum increased by 15.8695 manats to 1359.66 manats. Meanwhile, the price of palladium increased by 5.678 manats to 1555.7635 manats in the country. The precious metals are gold, silver, platinum and metals of platinum group (palladium, iridium, ruthenium, rhodium, osmium), brought to the highest fineness (999.9). 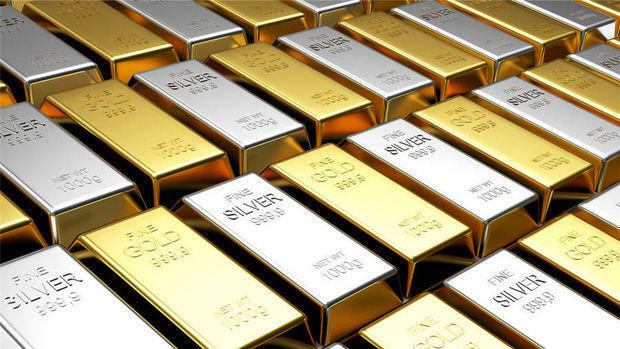 The precious metals are sold in ingots, coins or powders and have the appropriate quality certificate.